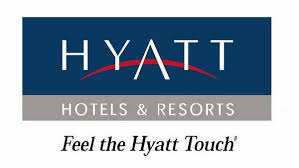 Hyatt has joined other major hotel groups in imposing a stricter cancellation policy. According to a notice on Hyatt’s website, the company’s new default policy requires a guest to cancel a booking at least 48 hours in advance in order to avoid a cancellation fee. The policy took effect for reservations made or changed after January 1, 2018. Like its competitors, Hyatt suggested the policy change would allow it to manage guestroom availability more effectively. The company didn’t say what the penalty for a late cancellation would be, but the industry standard is generally the cost of one night’s stay. Hyatt added that the new policy is not binding on all its properties. Because each Hyatt hotel may continue to set its own cancellation policy based on local market dynamics and expectations, we always encourage guests to check the cancellation policy at the time of booking. It will continue to be transparently communicated at the time of booking and in guest emails, the company said. There’s an exemption for elite World of Hyatt loyalty members: Explorist, Globalist and Lifetime Globalist members will be able to cancel up to 24 hours in advance without a penalty when the hotel’s policy is a 48-hour cancellation. It does not apply if an individual hotel’s policy requires cancellation more than 48 hours in advance. Earlier this year, Marriott and Hilton both adopted minimum 48-hour advance cancellation policies, and InterContinental Hotels Group set a 24-hour advance cancellation standard.